Rev. John HOWSE (1570 – 1630) was Alex’s 11th Great Grandfather; one of 4,096 in this generation in the Shaw line through his grandson Barnabas Lothrop. He was also Alex’s 10th Great Grandfather; one of 2,048 in this generation of the Miller line through his grandson Samuel Lothrop. Rev, John Howse may have been born about 1570 Eastwell, Kent, England. His parents may have been Thomas HOWSE and Alice HINTON. He married Alice LLOYD 30 Aug 1593 at Lavenham in County Suffolk. John died 30 Aug 1630 – Eastwell Parish, Kent, England and was buried 2 Sep 1630. Rev. John Howse served as rector of the parish at Eastwell from 1603, until his death in 1630. Alice Lloyd’s origins are unknown. We only know for sure is that John named his wife “Alice” in his will. Alice was born about 1572 in Kent, England. Alice died 8 Nov 1653 in Kent, England. 10 Oct 1610 16 Feb 1633 in London, England. 3. Peninnah (Jemima) Howse bapt. London, England ~1643 Barnstable, Barnstable, Mass. In 1951 the roof of the nave collapsed, and the remaining shell of the church was demolished in 1956, leaving only the footings, the tower, and the 19th-century mortuary chapel. All that now remains are the tower and the wall of the south aisle, dating from the 15th century, and a mortuary chapel from the 19th century. The ruins of the tower and aisle wall are constructed in flint and plaster with stone quoins. The tower is supported by three-stage buttresses and it has a doorway with a string course above. In the tower is a two-light Perpendicular window. The bell openings date from the 18th century and they also have two lights. The summit of the tower is battlemented. On the lower stage of the tower is a mutilated consecration cross in knapped flint. The blocked arch to the former nave has octagonal piers. In the aisle wall are two two-light windows. 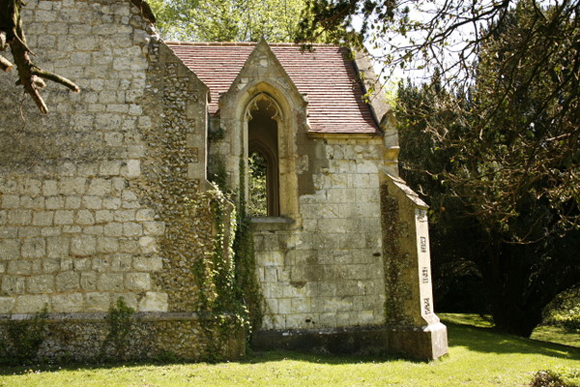 The chapel is constructed in chalk with a tiled roof. It has lancet windows and its interior is vaulted. The internal fittings and monuments have all been removed. Most of the monuments are in the care of the Victoria and Albert Museum. These include two chest tombs, one to the memory of Sir Thomas Finch who died in 1580, and the other to Sir Moyle Finch who died in 1614. 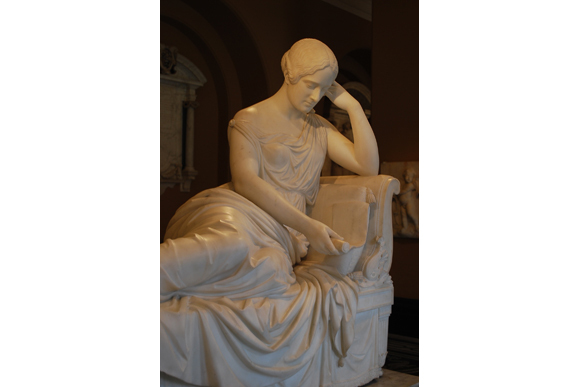 Another memorial moved to the Victoria and Albert Museum is his wife Elizabeth Finch, 1st Countess of Winchilsea (1556 – 1634). 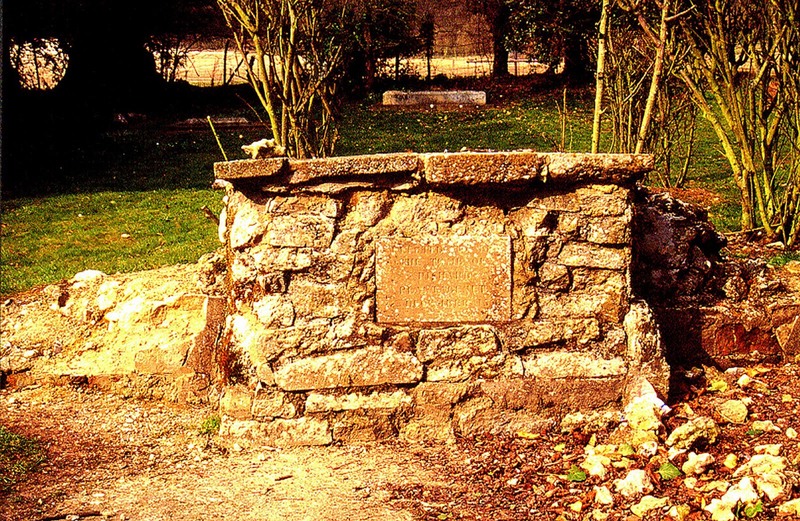 In the churchyard is a memorial to Richard Plantagenet (1469 – 1550), who is rumored to have been the son of Richard III. According to Francis Peck‘s Desiderata Curiosa, Richard boarded with a Latin schoolmaster until he was 15 or 16. He did not know who his real parents were, but was visited four times a year by a mysterious gentleman who paid for his upkeep. This person once took him to a “fine, great house” where Richard met a man in a “star and garter” who treated him kindly. At the age of 16, the gentleman took the boy to see King Richard III at his encampment just before the battle of Bosworth. The King informed the boy that he was his son, and told him to watch the battle from a safe vantage point. The king told the boy that, if he won, he would acknowledge him as his son. If he lost, he told the boy to forever conceal his identity. King Richard was killed in the battle, and the boy fled to London. He was apprenticed to a bricklayer, but kept up the Latin he had learned by reading during his work. Around 1546 the bricklayer, by then a very old man, was working on Eastwell Place for Sir Thomas Moyle. Moyle discovered Richard reading and, having been told his story, offered him stewardship of the house’s kitchens. Richard was used to seclusion and declined the offer. Instead, he asked to build a one-room house on Moyle’s estate and live there until he died. This request was granted. A building called “Plantagenet Cottage” just east of the church – now long since gone. The origin of the surname Howse is problematical at best and, moreover, its spelling was quite variable in English and colonial records in which it was commonly rendered Howse, Howes, or House. Indeed, the latter spelling seems to have become more predominant in later generations, perhaps, owing to its convergence with the common English noun house, which descends from the Old English form hús. Accordingly, one might suppose that the surname and the common noun share the same etymology, but this is probably not so, at least for this family. Alternatively, the name may be derived from the antique word howe, denoting a hill or high place and remaining in current use only as an element of relatively few place names in the north of England. In this case, one might suppose that the surname descends from a grammatical construction such as so-and-so of the howes (hills) or something similar, which became fixed as a family name, perhaps, at the beginning of the fifteenth century when patrilineal surnames became adopted in England as common custom. It is commonly asserted that John Howse was born at Eastwell in County Kent and was the son of Thomas and Alice Hinton Howse. Although, this could be correct, there does not seem to be any documentary evidence in support of such a presumption. After 1603, he was, indeed, the rector of the parish church at Eastwell (St. Mary’s), but it may be reasonably supposed that like many clergymen of local parishes, he had originated somewhere else. Reverend John Howes matriculated at St. John’s College,Cambridge in 1590. He is listed in the Alumni Cantabrigienes as such with the further note that he was rector at Eastwell, Kent in 1610. It may be reasonably inferred that if he was rector at Eastwell, he had likely served previously as a lower ranking clergyman, e.g., a curate, in some other parish, which remains unknown. In support of this presumption, it appears that he had married and had several children prior to his service at Eastwell. Therefore, as a matter of chronology one may reasonably suppose that John Howse was born, perhaps, about 1570 and that he attended university in the late 1580’s. Within this context, it has also been asserted without significant substantiation that John Howse and Alice Lloyd married August 30, 1593, at Lavenham in County Suffolk. Again, no documentary source affirming this date or his wife’s identity is known (although, her given name as Alice can be established from John’s will). Some researchers have associated Rev. John Howse with a minor noble family of the same name having estates at Besthorpe near Attleborough and Morningthorpe Manor near Long Stratton in County Norfolk. This geography would be favorable in support of his education at Cambridge, his marriage in nearby Suffolk, and his probable Puritan sympathies, since the general region of East Anglia was a stronghold of Puritan sentiment. Moreover, due to the custom of primogenture it was common for younger sons of country gentlemen to enter the service of the Church, since they did not inherit land. Nevertheless, although these coincidences are suggestive, they remain entirely unsubstantiated and the origin of John Howse and his wife must be properly regarded as unknown. While three of his children emigrated to New England, suggesting Puritan sentiments, it does not seem that Rev. Howse ever broke completely with the Church of England. St. Mary’s Church at Eastwell appears to have been an important parish to which curacies of smaller neighboring parishes, e.g., St. James’ at Egerton and St. Mary’s at Little Chart, were likely attached. Unfortunately, the historic church building at Eastwell collapsed due to decay in 1951 (and is now a ruin) and the church at Little Chart was destroyed by a in 1944 V-1 flying bomb in World War II (The new church, now within the village, was completed about ten years later). Only, St. James’ Church at Egerton remains intact. In the Bishop’s Transcripts for Canterbury John HAWSE is given as Curate for Egerton, 1592-96. 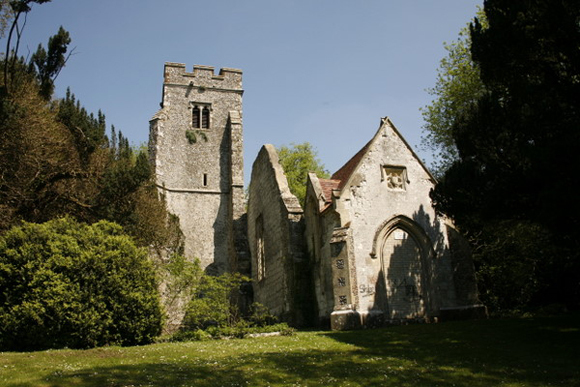 John Howse was curate at St James Church, Egerton, Kent from 1592 to 1596. Dominating its sandstone ridge when viewed from the north, St James Church must always have attracted visitors. Its tower is fifteenth century but this is attached to an earlier building which may probably have been thirteenth century. There are some windows of this date but the stonework has been so renewed that it is impossible to tell if they are copies of the originals. 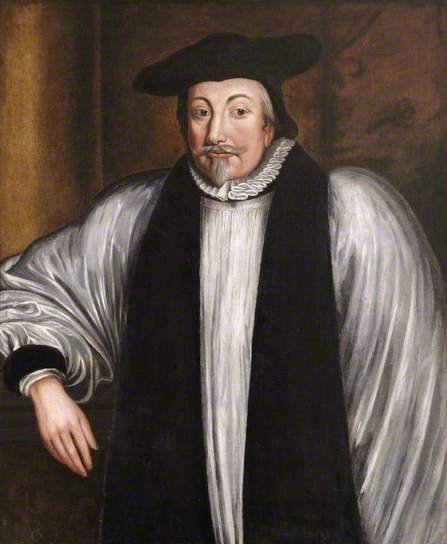 In 1632, Rev. John LOTHROP was arrested in the house of one of his congregants along with 42 of his congregation including three of John HAWSE children, Samuel Hawse, Perninnah Hawse and Hannah LATHROP. They were brought before the Court of the High Commission and were charged with sedition and holding conventicles. The political nature of the charge of sedition , and the antique language of “conventicle’ [ a private meeting to hear illegal preaching] renders the charges unclear to modern ears. The charges were, however, deadly serious and the court proceedings unimaginable. The accused had none of the rights of modern citizens. The court was an inquisition, where the accused were forced to testify against themselves, with our counsel. The process was so intimidating that many people were driven to flee. It was one of the driving forces in the Great Migration to New England. It was no dispute over prayer books and vestments. It was about life, death, and salvation. First, what was the Court of the High Commission? It, along with the Court of the Star Chamber, was a Royal Prerogative Court [King’s Rights], originally created in the time of Henry VII [1485-1509]. These courts were separate from the Civil Courts, or Common Law Courts, which operated on the basis of precedent, and the rights of English people under the Common Law. Originally, these courts were established under the King’s right to protect individuals from abuse in Common Law Courts. Under the Elizabeth I and the Stuart Kings [James I and Charles I], these courts were used by the Church of England to suppress those who sought to reform the church, or to seek a different path to salvation, using court rules that were in clear violation with the Common Law. They came down, with extreme severity, on Separatists in particular. Because of their covenant relationship, Separatists believed that every congregation could be a church unto itself, and could elect it’s own Ministers, by vote of it’s elders, based upon the model of the early Christian church [pre-Constantine]. To do so meant they had no need of the Church of England, and did not accept the authority of the Bishops. This was unacceptable to the Crown. As famously said by King James I, “ No Bishop, no King”. Since the King was the head of the Church of England, and appointed the Archbishop, he wanted one church with order and conformity. To the King, the Separatists position implied anarchy and chaos, and must be stopped. As James I said further, “ I will harry them out of the land”. All of these rights were suspended for those, such as the members of Rev. Lothrop’s congregation, who were brought before the Court of the High Commission in May 1632. They were jailed in The Clink prison. All were released on bail by the spring of 1634 except Lothrop, who was deemed too dangerous to be set at liberty. While he was in prison, his wife Hannah Howse became ill and died. His six surviving children were according to tradition left to fend for themselves begging for bread on the streets of London. Friends being unable to care for his children brought them to the Bishop who had charge of Lothrop. The bishop ultimately released him on bond in May of 1634 with the understanding that he would immediately remove to the New World. Six children of Rev. 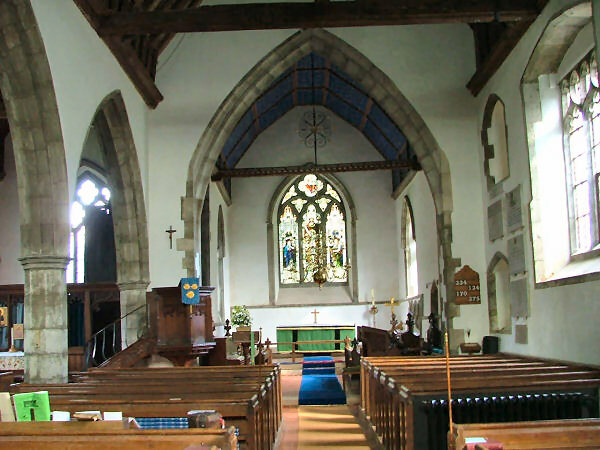 John and Alice Howse can be confirmed from baptismal records of Eastwell and it seems evident that John Howse remained in this parish for the rest of his life. Elizabeth’s husband John Champion was born about 1585. John Howse performed the marriage ceremony for his daughter Hannah, in her marriage to Rev. John Lothrop in Eastwell, 16 Oct 1610. Peninnah was second wife of Elkanah; bore him ten sons. She would frequently annoy her rival wife,Hannah, badgering her about her childlessness. Peninnah was less favored than Elkanah’s other wife, Hannah; although she bore him more children, Peninnah also brought grief and disharmony to the household by her insolent mocking of infertile Hannah. “And because the Lord had closed her womb, her rival kept provoking her in order to irritate her. This went on year after year. Whenever Hannah went up to the house of the Lord, her rival provoked her till she wept and would not eat.”Every year, when Elkanah offered up a sacrifice at Shiloh, he would share out the portions of meat and give Hannah a double portion, which further incited the jealousy of Peninnah. Eventually, in answer to her desperate prayer, Hannah’s womb was opened, and she bore Samuel, and later another three sons and two daughters. I was wondering why John would name his daughter after such a b****, but then I read that some commentators suggest that Peninnah’s actions were in fact noble, and that Peninnah “mocked” the barren Hannah in order to further drive Hannah to pray even harder to God to give her children. Peninnah’s brother-in-law Rev. John Lothrop led a congregation in London had refused to accept the King as head of the Church. This conflict had resulted in the imprisonment of the Rev. John Lothrop for two years. Upon his release, many members of the congregation made their move to America with him to be able to worship as they chose. Penninah was still single when she was questioned by the Ecclesiastical Court along with others in the congregation in 1632. There she stated that only God was Lord of her beliefs. [In the High Commission proceedings she is given as Peninah Howes]. 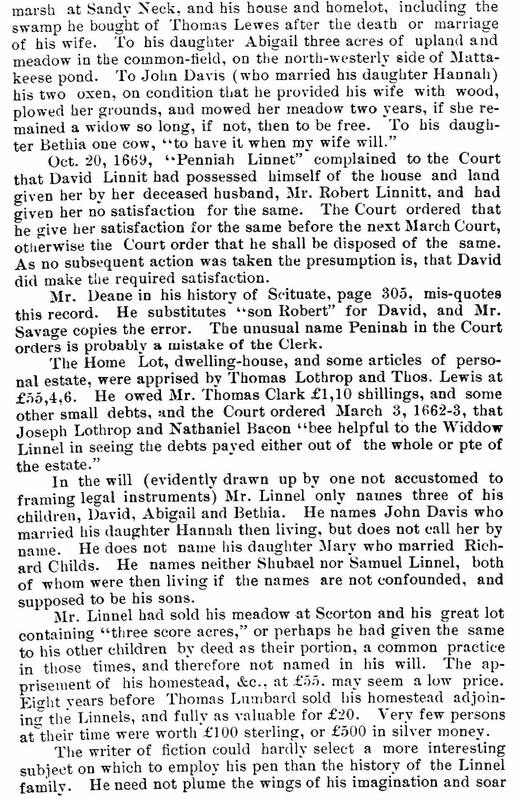 There has been great confusion in the American record to the effect that Robert Linnell’s first wife was a Jemimah Howes, presumably another daughter to Rev. John Howes. This has been compounded by an LDS record of the supposed marriage of a Jemimah Howes to Robert Linnell in 1621 in Ashford, Kent. Others say Robert married Perninnah 10 Aug 1610 – London, Middlesex. There are no records to support this. The First Independent Church of London, which was originally under the leadership of Henry Jacob, was taken over by John LOTHROP in 1623. This church was in Southwark, “situated on Union Street”. Rev. 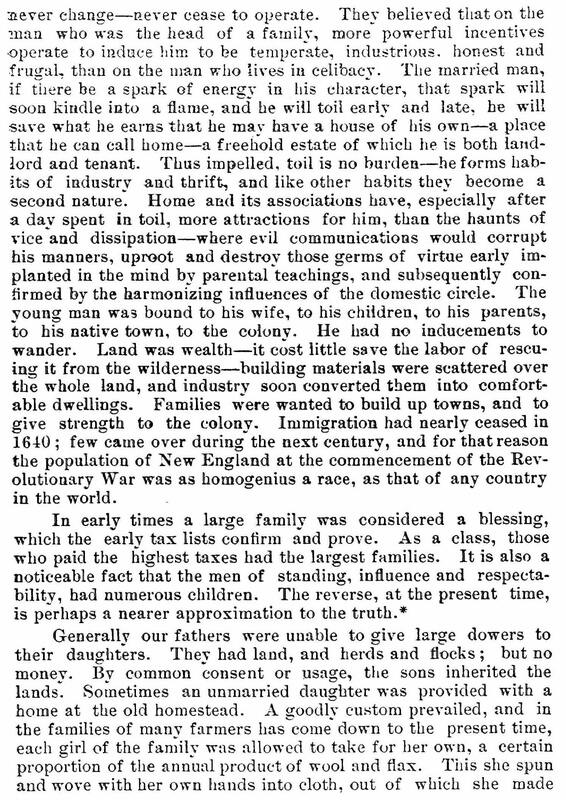 Lothrop came to Scituate Massachusetts in 1634, gathering together other immigrants “as had been in congregation with us before”. Why Robert did not leave London with the remainder of the congregation is not known. There may have been a connection with the death of his first wife. In 1638, Lathrop wrote in his journal, ” My brother Robert Linnell and his wife, came to us with a letter of dismission from our church in London”. The reunion of the Linnells with the Rev. John Lothrop and his flock in Scituate must indeed have been joyous, especially for Peninnah Linnell with her sister, Hannah Lothrop. By the time Robert Linnell move to Barnstable with John Lothrop there was already a saw mill in operation in Scituate and sawed lumber for building could be shipped from Scituate to Barnstable. This allowed for the design of building to which the people had been accustomed in England. And these homes, weathered by the blowing salt sand, were built to last for generations. The list of 45 townsmen and voters in 1640 included Robert Linnet, and in 1643 those able to bear arms also included David Linnet, by this time 16 years old. Capt. Miles Standish was placed in charge of this militia. They were expecting trouble with the Indians. The current house was built around 1717 by the Davis Family. The original Linnell house on the property would have been built around 1640. It was probably torn down to build this one. To get an idea of what the original house might have been like, visit the Lothrop Room in the Sturgis Library, down the street. This room is a preserved section of Reverend John Lothrop’s [Robert Linnell’s brother-in-law] original house, so you can imagine the Linnell family standing in that very room. “The last Will of Robert Linell Deceased the 23 of January 1662 I give to my wife my house and home lott soe long as shee lives a widdow; alsoe…all my household stuffe and plow and Cart and two Cowes and a calfe for ever; I give my house and home lott to David and his heires after my wife either Dieth or marrieth alsoe my mersh att sandy necke I give to David and his heirs for ever and my lot by John Casleyes; I give my ground and mersh att the lower end of the pond att Mattakeessett to Abigail; I give to John Davis my two oxen to find my wife wood and to mow my marsh and plow my ground for her for two yeare if she Remaine a widdow so longe; if she marryeth before the two yeares bee out then to bee free; I give to Bethya one Cow to have it when my Will; It is my will that the swamp I bought of Thomas Lewis to goe with my house lott; Robert Linell” “The tearme; and a Calfe in the third line in the originall was put in since the man Deceased. The widow Peninnah petitioned the Court Oct 29 1669, to recover the house her husband had left her from the hands of their son David. ii. Hannah Linnell b. 17 Apr 1625 in London, England; d. 1701 in Barnstable, Barnstable, Mass; m. 15 Mar 1648 in Barnstable to John Davis (b. 1626 in Kent, England – d. 1703 in Barnstable) John’s parents were Dolor Davis (Wiki) (b. 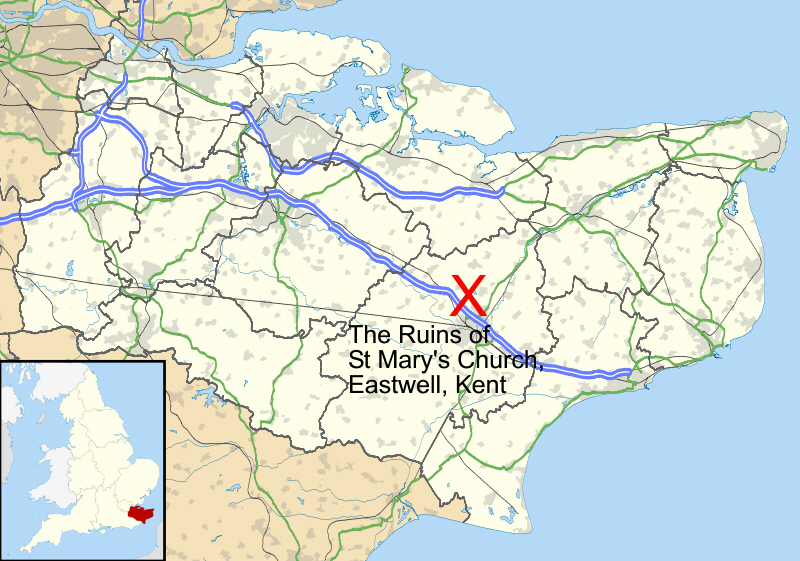 1593 Kent, England – d. 2 Jun 1673 Barnstable, Mass.) and Margery Willard (b. 6 Nov 1602 in Horsmonden, Kent, England – d.1656 in Barnstable, Mass.) Hannah and John had twelve children born between 1650 and 1673. John immigrated with his parents on the Elizabeth, arriving April 17, 1635, and first living in Cambridge. The family moved to Duxbury in 1638 and Barnstable in 1643. John was a farmer and house carpenter. His name appears frequently in the Barnstable town records in real estate transactions and transactions with the Indians. He owned considerable real estate at various locations and settled portions on his sons during his own lifetime. His will is dated 10 May, 1701, and mentions his still living wife along with his sons and daughters. The will was approved 09 April, 1703.
iii David Linnell b. 1627 in London, England; d. 14 Nov 1688 in Barnstable, Barnstable, Mass; m. 9 Mar 1653 in Barnstable to Hannah Shelley (b. 2 Jul 1637 in Scituate, Plymouth, Mass. 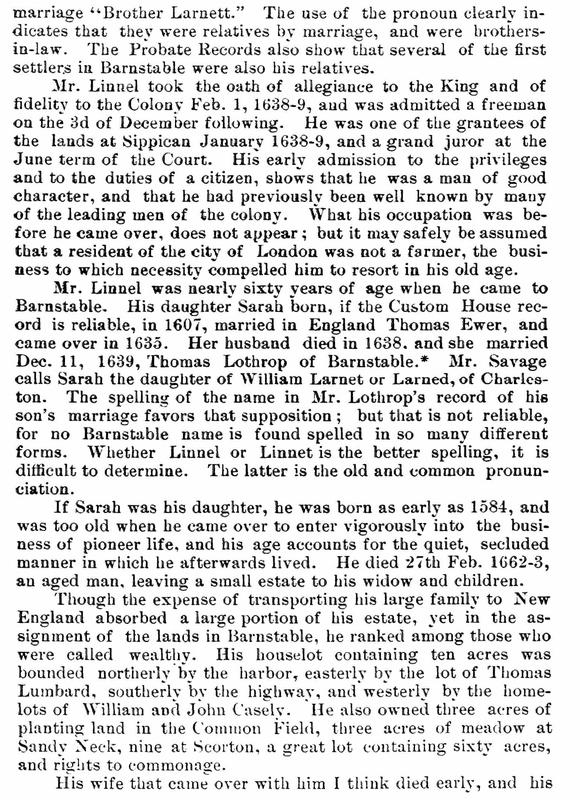 – d. 1709 in Barnstable) Hannnah’s parents were Robert Shelley (b. 1612 England – d. 6 Sep 1692 Barnstable) and Judith Garnett (b. 1608 England – d. 1668 in Barnstable). David and Hannah had ten children born between 1655 and 1673. David and Hannah were married a year later 9 Mar 1653 by Thomas Hinckley. David and Hannah were whipped because they had no friends to take an active interest in their welfare. Perhaps the punishment was retribution for Hannah’s mother Judith refusal to admit fault and subsequent excommunicatation in 1649. (See Amos Otis account below for the full story of this miscarriage of justice). Six years afterward, a similar complaint was made against our ancestors Barnabas LOTHROP Esq. and Susanna CLARKE, afterwards his wife. Mr. Lothrop had influential friends and was able to defend himself. The compliant was dismissed and no record made. David delayed joining the church until Jul 1, 1688, just months before his death, and 36 years after his whipping. Hannah never joined and died at 71 years and 7 months, never reconciling with the authorities or the church. 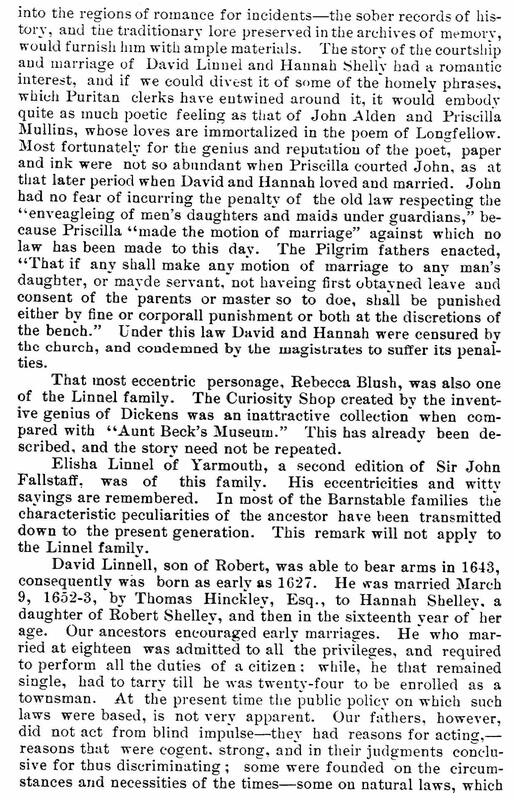 David Linnel and Hannah Shelley were “children of the Barnstable Church.” In consequence of some miscarriages between them, the particulars whereof are stated in the church records, they were cut off from the privileges of that relation May 30, 1652, and for the same offence, by order of the Conrt at Plymouth, both were “punished with scourges here in Barnstable June 8, 1062.” The town had then been settled thirteen years, and this was only the fourth case that had required the interposition of the authority of the magistrates. All of them were offences against good morals, but no magistrate at the present day would feel called upon to interpose his authority in similar cases. To judge rightly we must bear in mind that our ancestors allowed nothing that had the appearance of evil to pass unnoticed and unrebuked. 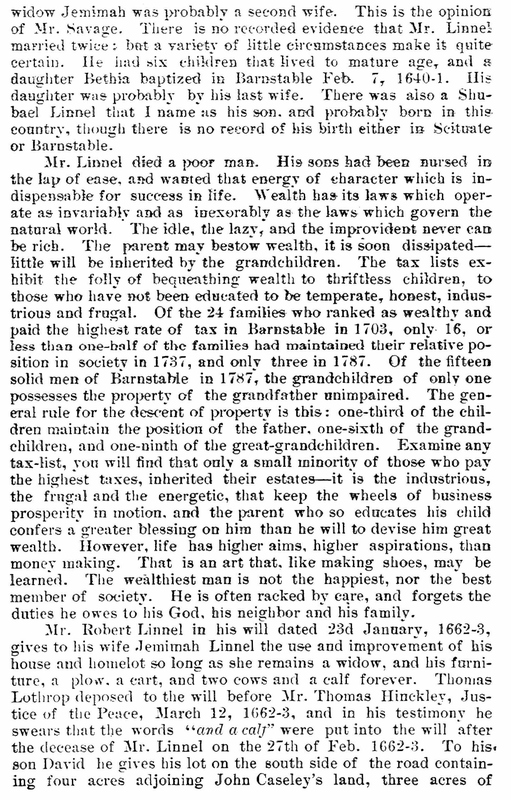 Mr. Robert Linnel was aged and had taken a second wife that “knew not David,” and cared little for his well-being. Robert Shelley was an easy, good-natured man, and cared little how the world moved. He was however an honest man, a good neighbor, and a sincere christian. His wife Judith Garnet was, before her marriage, a Boston woman — a member of the church there, proud, tenacious of her own opinions, and had very little control over her tongue, which ran like a whip-saw, cutting everything it came in contact with. Nothing like it had before happened in the settlement. The story was soon known to the old and the young — it was discussed in every circle — it was the standing topic of conversation for six months. The messengers of the church waited on Mrs. Judith — they could not persuade her to acknowledge her fault — she denounced Mr. Lothrop and all who were sent to her, in the most severe terms of abuse. She could find no one to sustain her — never could prove anything, and Mr. Lothrop adds, “was wondrous perremtorye in all her carriages.” She was excommunicated June 4, 1649. Hannah was then only twelve years of age, a time of life when the sayings of the mother make a deep impression on the mind. She had heard her mother in a loud and peremptory tone of voice slander the best men and women in the settlement. The father was a good natured, easy man, and did not reprove his wife for speaking ill of her neighbors. Brought up under such influences, is it surprising that the daughter should sometimes speak inconsiderately, loosely, lasciviously? I think not. I think the mother more blameworthy, better meriting the scourges than the daughter. David and Hannah were summoned to appear at a meeting of the church. They attended May 30, 1652, and there in the presence of the whole congregation confessed their fault. “They were both, by the sentence and joint consent of the church, pronounced to be cutt off from that relation which they hadd formerlye to the church by virtue of their parents covenaunt.” The action of the church was not objectionable ; but mark the date. May 30, 1652. The Court was held in Plymouth June 3, 1652, only four days afterwards. Mr. Thomas DEXTER Sr. and John CHIPMAN were the grand jurors from Barnstable, and it was their duty’ to complain of every violation of law or of good morals that came to their knowledge. The facts were notorious for it is called “a publique fame” on the church records. They were probably present when the confession was made. There were also several others beside the jurors who knew the facts. Thus far the proceedings were in accordance with the customs of the times. In the list of presentments made by the “Grand Enquest” dated June 2, 1652, neither David Linnel nor Hannah Shelley are indicted ; yet, on the next day, June 3, 1652, the Court condemn “both of them to be publicly whipt at Barnstable, where they live,” and the sentence was executed at Barnstable five days afterwards, that is on the 8th day of Juue, 1652. These proceedings were in violation of the form of law ; the accused were not indicted by the grand jury — they were not heard in their defense, do not appear to have been at Court, and were condemned and punished for a crime of which they had not confessed themselves guilty. The conduct of John Alden and Priscilla Mullins technically was not in violation of the law ; but it was a violation of its spirit and meaning. That they should be glorified and their praises sung by the poet, and that David and Hannah should be whipped at the post, seems not to be meting out equal and even handed justice to all. If the Court had ordered Mrs. Judith to have been scourged in public she would have enlisted but little sympathy in her behalf. David Linnel inherited, the homestead of his father. That portion of it that adjoined the public highway he does not appear to have owned in 1686. He may have owned the north part of it, and the description of it in his will favors that presumption, and there he built his two story single house, with a leanto. He was not a prominent man, and little is known of him. He delayed joining the qhurch till July 1, 1688, the year before his death. His wife did not join. His will is dated Nov. 14, 1688, and was proved March 9th following. To his sons Samuel and Elisha, and his daughters Hannah Davis, Mary, Experience, Susanna and Abigail, he gives one shilling each. To his sons Jonathan and John his dwelling-house and housing and all his lands, both upland and marsh, the upland to be divided lengthwise, and his son Jonathan to have his house and to pay his brother John one-half as much as said house shall be judged to be worth by indifferent men ; and both upland and marsh to be equally divided for quantity and quality between them, and to be unto them, and their heirs forever.” He gave to his wife Hannah the improvement of one-third of his lands and the leanto room of his house during her widowhood, and appoints her sole executrix. His personal estate was apprised at £28,6,6. In the apprisement corn and barley are rated at 1 shilling 6 pence, or 25 cents per bushel. The will of Wid. Hannah Linnel is dated 2 Feb 1708/09, and was proved on the 5 Apr 1709. She names her daughters Abigail Linnel, Mary Sergeant, wife of John, Experience, wife of Jabez Davis, Susanna, wife of Eben. Phinney, and her grand-daughter Hannah Davis, daughter of Dollar. She signs with her mark, and appoints John Phinney, Jr., her executor. iv. Abigail Linnell b. 1630 in London, England; d. 1662 Barnstable, Barnstable, Mass; m. 27 May 1651 in Barnstable to Joshua Lombard (b 15 Oct 1620 in Thorncombe, Dorset, England – d. 1691 in Barnstable, Barnstable, Mass.) Joshua’s parents were our ancestors Thomas LUMBERT and [__?__]. Abigail and Joshua had five children born between 1652 and 1663. 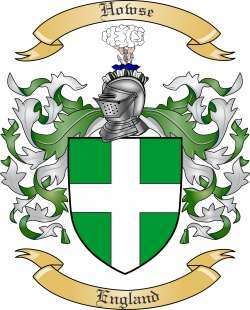 Joshua immigrated with his family: Lombard, Thomas 49 Thorncombe, Dorset Lombard wife 47 Lombard, Barnard son a. 22 Lombard, Thomas Jr. son 12 Lombard, Joshua son 9 Lombard, Margaret daughter 6. “The Mary & John” left Plymouth, England March 20, 1630 with her unknown Master, arriving in Nantasket Point, now Dorchester, Mass., at the entrance of Boston Harbor on March 20, 1630, two weeks before the Winthrop Fleet arrived. v. Mary Linnell b. 1631 in London, England; d 1662 in Barnstable, Barnstable, Mass; m. 15 Oct 1649 Barnstable to Richard Childs (b. 14 Jun 1624 in Wesminster, Middlesex, England – d. 15 Sep 1691 in Marshfield, Plymouth, Mass) Richard’s parents were Nathaniel Childe (1591 – 1627) and Isabell Tredway (1591 – 1649) Mary and Richard had three children born between 1651 and 1655.
vi Shubael Linnell b. 1637 in London, England; killed 26 Mar 1676 ambushed in what is now Central Falls, Rhode Island. Respecting Shubael Linnel little is known. He is named in 1667 as a guardian of the children of the second Thomas Ewer. A Samuel Linael of Barnstable was killed at the battle of Rehobeth, and as the only Samuel Linnel of Barnstable in 1776 was Samuel, son of David, and as he is named as living in 1688 he could not have been the man killed in 1676. To reconcile these conflicting statements Amos Otis supposed that there is an error in the records, that Shubael, the guardian, is the same person who is called Samuel in the returns of the killed March 26, 1676 during King Philip’s War. See my post Nine Men’s Misery – 1676. John’s wife Mary Osborne was born about 1603 in Ashford, Kent, England. Her parents were Edward Osborne and [__?__]. i. William House b. bef. 1636; d. 1699 Virginia; Immigrated to immigrated to Charles City CO.,Virginia in 1652 or 1657 I’ve seen both dates; Living in 1661 Surrey County, Virginia when he witnessed a wedding; m. Alice Nelms (b. 1746 Westmoreland, Virginia – d. 1705 Virginia) William and Alice had five children born between 1683 and 1695. Many genealogies repeat that while William was the son of John and Mary, he was born in Germany. Many genealogies say William had a son Rev. Thomas House (b. ~1657 Brunswick, Virginia – d. 05 Jun 1735 Brunswick, Virginia who in 1679 married Hannah Lawrence. If so, William must have had a first wife because Alice was only 11 years old in 1657. Thomas’ wife Elizabeth Osborne was born about 1600 in Ashford, Kent, England. The will of Thomas Howse of St. Stephen in Coleman street, London, a Citizen and Brownbaker of London, was dated 18 Oct 1643. St. Stephen’s Church, Coleman Street was a church in the City of London, at the corner of Coleman Street and what is now Gresham Street, first mentioned in the 13th century. Destroyed in the Great Fire of London of 1666, it was rebuilt by the office of Sir Christopher Wren. The church was destroyed again, by bombing in 1940, and was never rebuilt. Early in the 17th century, St. Stephen’s became a Puritan stronghold. 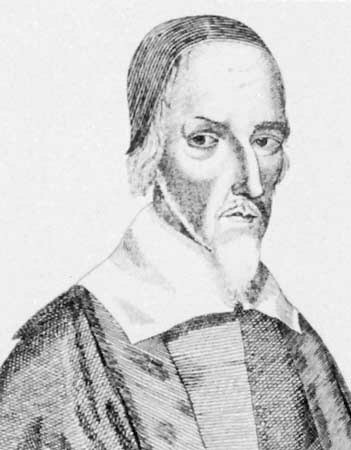 John Davenport, the vicar appointed in 1624, later resigned to become a Nonconformist pastor. His successor, John Goodwin, was also a prominent Puritan preacher. Goodwin was ejected from St Stepehn’s in 1645 for setting up a covenanted community within his parish and was briefly imprisoned after the Restoration for his political views. The five Members of Parliament impeached by Charles I repaired to Coleman Street in early 1642 when his troops were searching for them, and during the Commonwealth, communion was only allowed to those passed by a committee comprising the vicar and 13 parishioners – 2 of whom had signed the death warrant of Charles I.
Praise-God Barebone (c. 1598 –1679) administered Thomas’ will. Thomas made a specific bequest in his will to Mr. John Goodwine, minister at St. Stephen’s Church in Coleman Street in London. A previous pastor of this church had been Rev. John Davenport, a prominent Puritan clergyman who had been persecuted by Archbishop Laud and emigrated to New Haven. Samuel’s wife Elizabeth Hammond was baptized 28 Oct 1620 in Lavenham, Suffolk, England. Her parents were William HAMMOND and Elizabeth PAYNE. Elizabeth died 1 Jul 1662 in Scituate, Plymouth, Mass. 1632 – Samuel was imprisoned in London because of his participation in Separatist activities. See above for his interrogation at a Court of High Commission on May 8 1632. Samuel emigrated to America in 1634, joined Rev Lothrop’s church in Scituate then Barnstable, and returned to Scituate. Samuel Howes, as he generally wrote his name, or House, as it is generally written on the records, and as his descendants spell their name, probably came over in 1634 with the Rev. John Lothrop. He first settled in Scituate, was a freeman Jan. 1, 1634/35, and was one of the founders of the church there Jan 8 1634/35. He built the 12th house in Scituate, situate between the houses of Richard Foxwell and Mr. Lothrop. This he afterwards sold to Nicholas Simpkins. was a resident in Cambridge. 13 Nov 1643 – In a deed dated at Cambridge, Mass. in which he conveys to Joseph Tilden fifty acres of upland and nine acres of marsh land situate near the North River in Scituate, he styles himself a shipcarpenter, and also in another deed to Thomas Rawlins, dated Jan. 22, 1646-7. In 1646 he had returned to Scituate, and was that year appointed to gather the excise in that town. In 1652 and 3 he was a grand juryman, and though appointed to note the short comings of his neighbors, the following record shows that he, like many others, did not note his own. i. Elizabeth House b. 23 Oct 1636 Scituate, Plymouth, Mass. ; d. 1679 Scituate, Plymouth, Mass; m. 1 Jan 1661 in Scituate to John Sutton (b. 1642 in Scituate, Plymouth, Mass. – d. 12 Nov 1691 in Scituate, Plymouth, Mass.) John’s parents were George Sutton (b. 12 Apr 1613 Sandwich, Kent, England – d. 12 Apr 1669 Perquimans, North Carolina) and Sarah Tilden (b. 13 Jun 1613 in Tenderden, Kent, England – d. 20 Mar 1677 in Perquimans, Perquimans, North Carolina) Elizabeth and John had four children born between 1662 and 1679. Alternatively, John’s parents were John Sutton (b. 1593 in Attleborough, Norfolk, England – d. 01 Jun 1672 in Rehoboth, Bristol, Mass) and Lianna Little (1595 in England -1678 in Rehoboth) His grandparents were Henry Sutton (1567 – 1599) and Sarah Tilden (1589 – ). This version doesn’t require an explanation on how the Suttons got from Massachusetts to North Carolina which would be a unique trip among the thousands of 17th Century people I’ve researched. ii. Samuel House b. ~1638 Scituate, Plymouth, Mass there is no record of his birth or baptism. ; d 15 Jul 1702 Scituate, Plymouth, Mass; m. 15 Mar 1664 in Scituate to Rebecca Nichols (b. 1641 in Hingham, Plymouth, Mass. – d. 1709) Her parents were Thomas Nichols (b. 1616 in England – d. 8 Nov 1696 in Hingham, Mass.) and Rebecca Josselyn (b. 1617 in Lancaster, Lancasterhire, England – d. 22 Sep 1675 in Hingham). Samuel and Rebecca had eight children born between 1665 and 1685.
iii. Sarah House bapt. 1 Aug 1641 Barnstable, Barnstable, Mass. All these children it appears by the will of the grandfather Hammond, dated July 1, 1642, one year after the death of Samuel House, were then living and the widow Elizabeth. This entry was posted in 12th Generation, 13th Generation, College Graduate, Dissenter, Double Ancestors, Line - Miller, Line - Shaw. Bookmark the permalink. I’m confused about who Rev. John Howse’s parents are. You say they may have been Thomas Howse and Alice Hinton, but it appears you have William Howse and Elizabeth Brome as Alex’s 12th grandparents. William does not have any children named John.